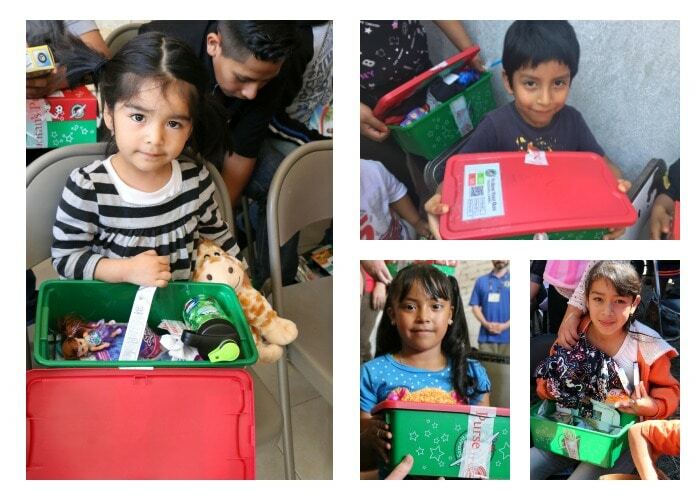 Here’s a firsthand account of how an Operation Christmas Child shoebox can change lives! 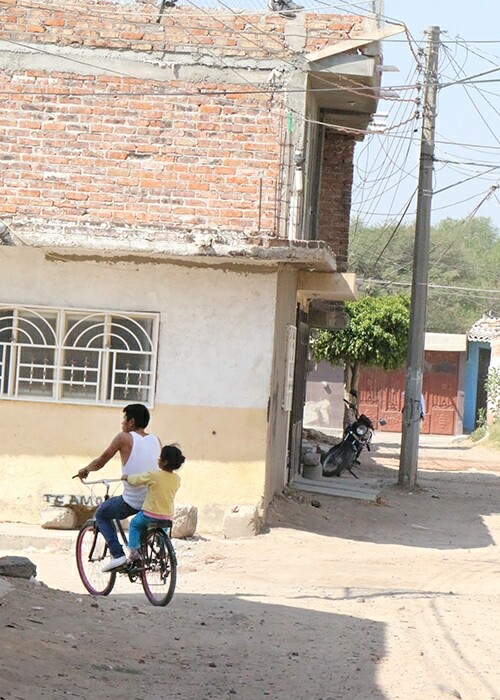 He was five years old living in extreme poverty in rural Mexico. His mom struggled to take care of him and his siblings since his dad was in prison (and would be in and out of jail most of his life). Martin was doomed to follow in his father’s footsteps and lead a life of drugs and crime. No one thought he would amount to anything other than “un delincuente” (a delinquent). No one invested in or cared about a little boy who would probably end up in juvi. No one gave him the time of day or thought he was worth the effort. All that would change with a simple shoebox and a handwritten note. After being invited to a children’s event, Martin received a gift that would forever alter his life and its course. Through the struggles and challenges of life, Martin always returned to that note and the promise that God was working all things together for good. Even through his father’s murder and his mother’s heart attack (where her heart stopped for 2 minutes), Martin clung to the hope he had found as a child. Now, Martin is 26 years old and was taken under the wing of a local pastor as a father figure. He is training to plant a church in an area that has none. His hope and desire is to impact lives through God’s love just as his was transformed through a simple shoebox. 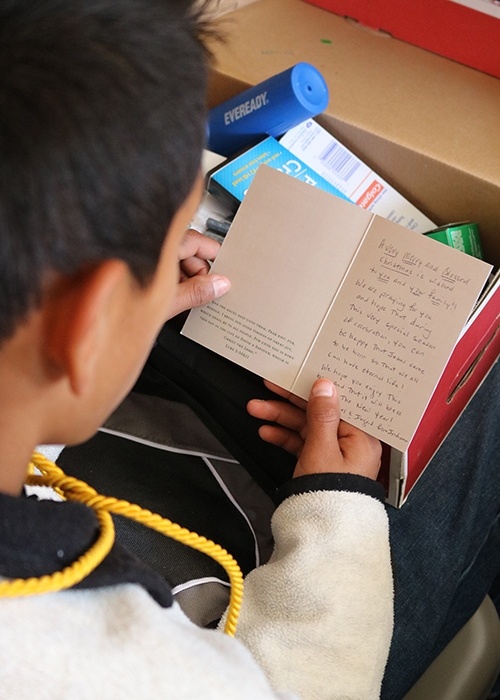 It was through the gift of a simple shoebox that the trajectory of Martin’s life changed. Martin needed love and guidance as do thousands of other kids around the world. 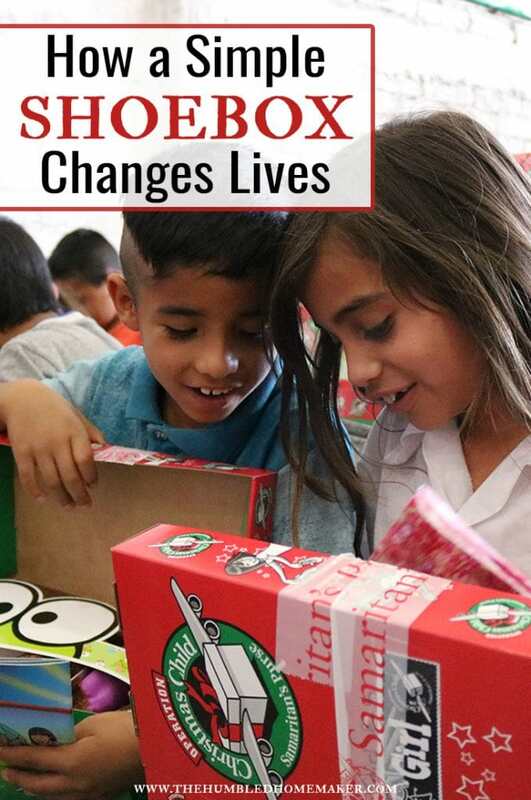 If you are unfamiliar with, Operation Christmas Child, it is a ministry of Samaritan’s Purse that organizes a shoebox collection each Christmas season. Families from all over the United States, Canada, and other countries are asked to fill shoeboxes with toys, toiletries, and school supplies. The ministry then delivers the shoeboxes to children all over the world all year long! Time after time I have heard story upon story of how a simple shoebox has not only permanently changed the life of a child but has met smaller needs as well. One such story unfolded in one of the events we were blessed to attend. 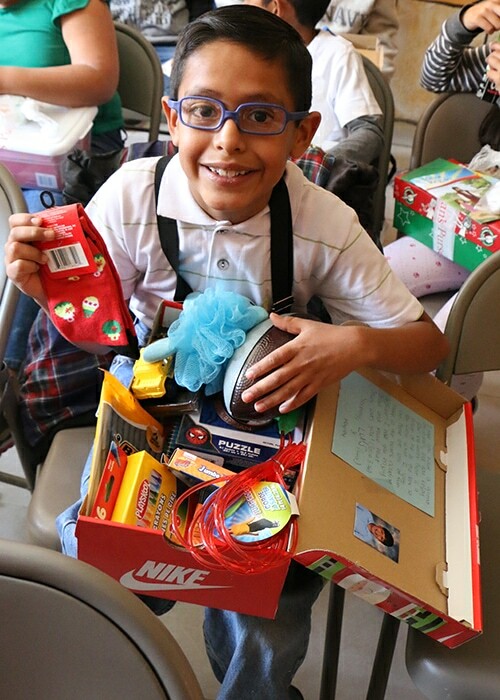 A 8-year-old little boy opened his shoebox, and out of all the items in the box – the toys, the school supplies, etc. – he was most excited about a pair of socks. Ivan later told us that his dad worked in a supermarket nearby and that he was going to go to work with him to earn money for socks because there was no money for new ones. As he opened the box and saw the socks, his face lit up over such a small thing that many might often take for granted. Ivan saw God’s provision in a tangible way through a simple shoebox. 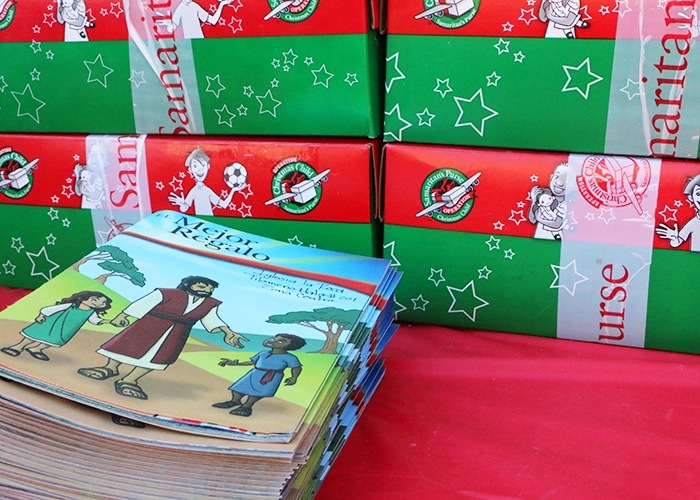 These simple shoeboxes, packed by people around the world, are filled with various items such as toys, school supplies, clothes, toiletries, etc. At the processing center, the contents of the boxes are inspected by volunteers, and they are taped shut and crated for shipment to other countries. After getting through customs, the director for that country or area (a national volunteer of the country) distributes the boxes to regional leaders (also national volunteers). These regional leaders then work with district leaders to determine where the boxes should go. All of these leaders are trained on how to hold events and what should happen at these events, including talking through Bible stories and handing out the shoeboxes. Any church or ministry interested obtaining boxes goes through an interview process to ensure that the boxes will used properly to spread the love of Jesus Christ. The churches then hold children’s events that they invite local children to attend. The children are not supposed to be told of the boxes beforehand. 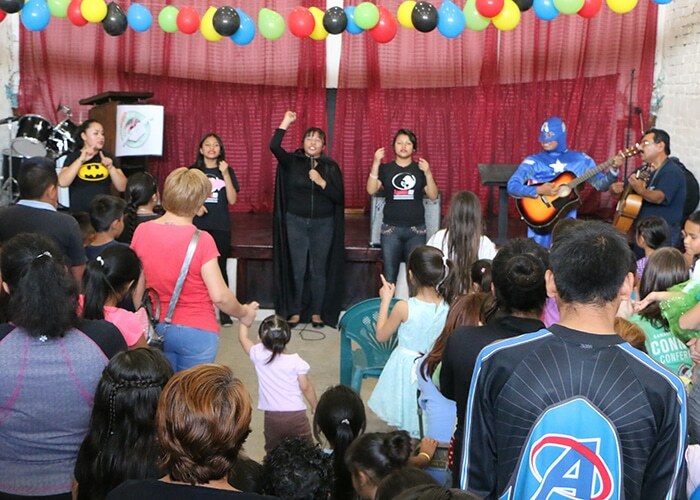 The events include games, songs, dramas, and a Gospel presentation. At the end of the event, the boxes are distributed to the children by the church members. * Note: Due to time spent in the collection centers as well as the efforts it takes to get boxes through customs and then distribute them to leaders across the country, some of the boxes may not be distributed for months after they are packed. As such it is important to consider what is packed and how. 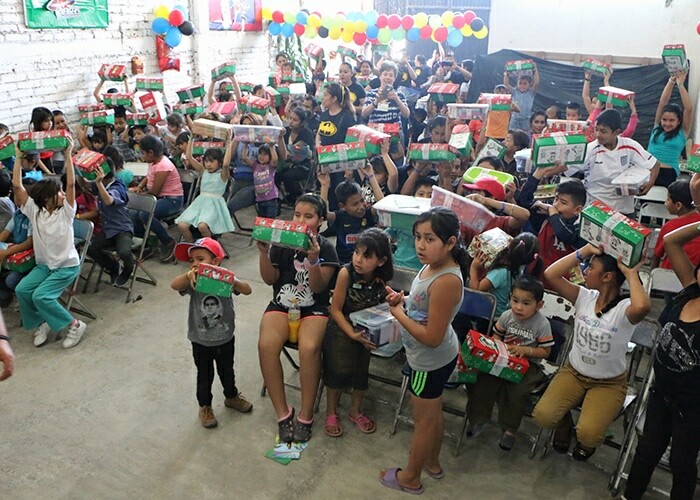 I (Will) recently had a chance to travel to Mexico to see how the shoeboxes are distributed once they leave the U.S. and arrive in other countries. 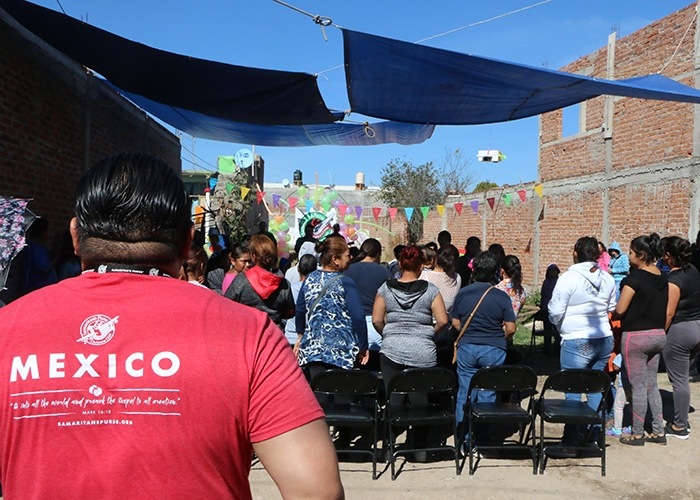 People from the U.S. are usually not involved in distributing shoeboxes, but there are a couple of influencer trips that are taken each year where OCC invites a few people to experience the work that goes on. Erin and I have packed shoeboxes for years, even during our newlywed days when we were struggling financially. As the years have passed, we have learned more about the boxes and how to pack them. It was very interesting to me to see the final destination of the boxes and the distribution process. There were 5 main things that I learned on this trip. One of the things that I love the most is that OCC uses nationals in volunteer roles to distribute the boxes throughout the country. These locals know the language and the culture better than anyone, and they are keenly aware of the struggles of the people around them. It is not that people from the U.S. are coming in to save the day. Typically, there are not even any foreigners present at the distributions except during these influencer trips so we see how the process works and share our stories. These people are not paid and do all of this on their spare time while still working other jobs. We participated in 4 different events all at different locations. It was plainly obvious that they will use whatever space is available to reach out to these poverty-stricken communities. One event we attended took place in an alley. Another was in a home, and a third was in a one room building that was packed from wall to wall with standing room only. I heard other stories from other groups that sat under trees or used a carport to host the children. It just struck me that the ingenuity and flexible to use the resources that were available to them. It didn’t matter. They just made it work. And the kids come dressed in the best clothes they have available to them. They all live in poverty and some of them come in school uniforms (even on a day when there was no school) because that is the best they have. Each of the events follow a very similar pattern. The churches or ministries have autonomy to interpret those things differently, but they are all comprised of the same elements. The pieces of the event are designed to be fun for the kids and create more of a festive atmosphere. It’s not just someone up front talking to the kids. There are songs, games, dramas, stories, etc. All of the regional and district leaders receive this training, and then those leaders train the local churches and ministries on how to plan and put on the event. 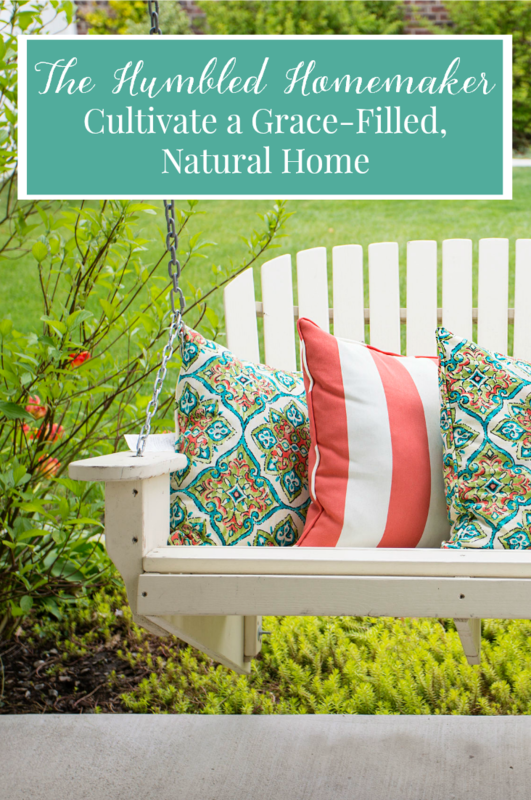 The materials are very specific and even talk about how to plan seating, etc. Granted, this is also flexible depending on the culture and space, but the principal idea is still there. Many of the youth played major roles in these events…from leading to participating in dramas. They were active members of the project. One of aspect that I was not aware of is that when the kids are invited to these events, they are not told about the shoeboxes. They are invited to a fun children’s event, and the shoeboxes are just a surprise. It doesn’t always work out that way, but that is the general idea. OCC is constantly looking for new ways to meet the physical and spiritual needs of the children and adults they serve. Plastic shoeboxes – Over the last few years, many people have used plastic shoeboxes instead of the cardboard ones provided by OCC. This provides the family with a container that they may not have ad access to otherwise. The problem is that many of these boxes crack or break before they reach the child because of the shipping process and the extreme changes in temperature. As such, OCC has worked with Home Products International to develop a plastic box that will withstand the challenges and arrive intact to the child. Technology – We live in a digital age, and technology is just a part of our world. OCC is finding ways to make technology work for their mission. They are currently developing a new app to deliver the message using a fun, specialized approach. Conversations – As I spoke with several of the OCC team members, we had some positive but tough conversations about the work being done. I love that the OCC team is not afraid of having these discussions that move things forward and work out issues to spread the messages more authentically yet effectively. 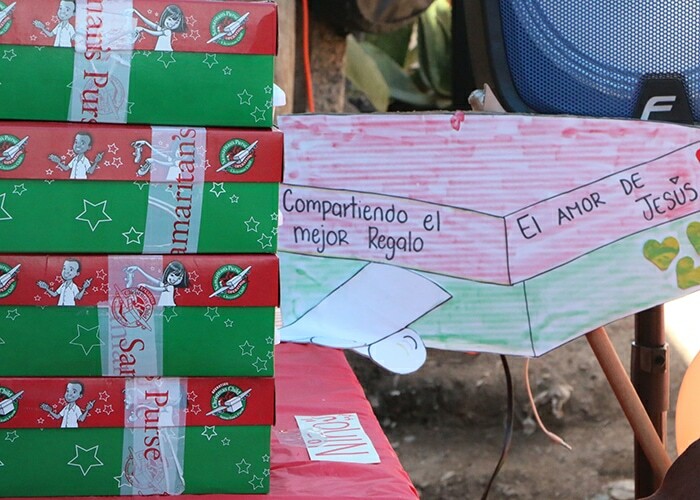 The shoeboxes themselves are great gift for the kids, but they are not the end of the story. They are really just a doorway into their lives to meet physical needs. Meeting the spiritual needs comes in three forms with these events. First of all, the children are told Bible stories that are presented with a drama during the event. The stories and the drama all present the Good News of the Gospel very plainly to the kids. 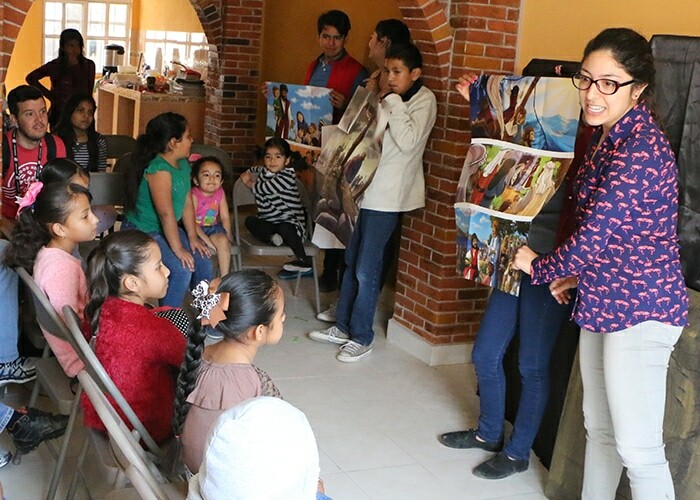 Secondly, each child is given a comic book title “The Greatest Gift” written in their language with pictures and words they can easily understand to explain the message of God’s love. The booklet teaches the children about the greatest gift we can receive in Jesus Christ and the gift He has given us. The shoebox is a nice gift, but it pales in comparison to the real gift. 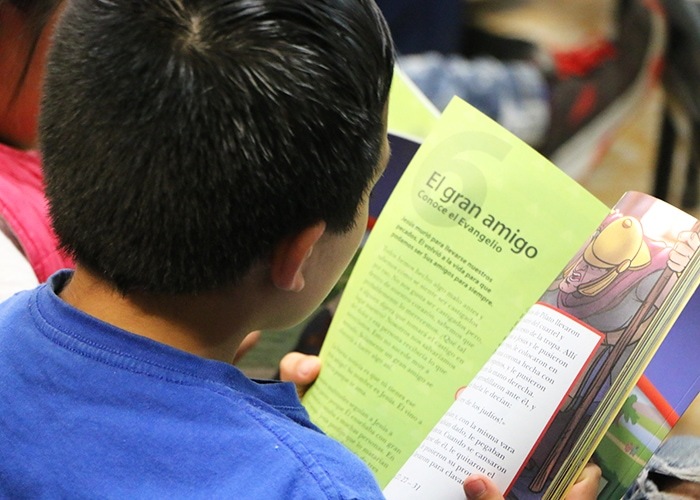 In addition, many of the children will also participate in a follow up discipleship class called The Greatest Journey. This is a 12-lesson course that works them through the basic theme of the Bible. Halfway through the class, the children are presented with the Gospel and are then lead to grow in their faith. I walked away from this weekend with a much better understanding of the earthly and eternal impact a simple shoebox can have on the life of child. It’s not just a simple shoebox but a powerful message contained within a heartfelt gift. Have you ever packed a shoebox for Operation Christmas Child? Share your story in the comments. 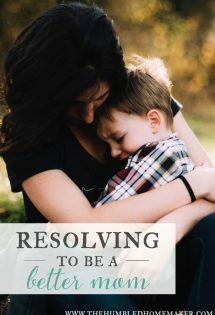 Resolving to be a Better Mom Mastitis Do You Need to Take a Faith Leap? Our family makes sure to set some money aside to help with the shoeboxes each year. We love teaching our children and seeing their excitement knowing they’re helping to bring a smile to someone else. Thank you for sharing your experience with this wonderful program as well. I have packed shoe boxes for about ten years, and last year was able to get Miss 4 involved in helping with it. She was really excited about it. I remember in 2006 I travelled to PNG on a mission trip and one of the kids in our host family actually had a shoebox and about the only book in the house that they loved. I’m really thrilled to hear about the impact they are having as over the last few years I’ve heard quite a bit of negativity amongst Christians about the boxes and that they don’t really solve a need. (Also a lot of positivity though and community groups getting together to sew and make craft items for the boxes) I live in Australia, and a couple of ladies from our old church used to be involved in the repacking centre in Brisbane. Thanks for sharing your story. Hi Erin and Will, This sounds like a great ministry. I am Catholic, and before I participate, I just want to make sure that this is appropriate for all denominations to participate in (in other words, that it’s not denomination specific in terms of doctrine, etc). Please let me know.